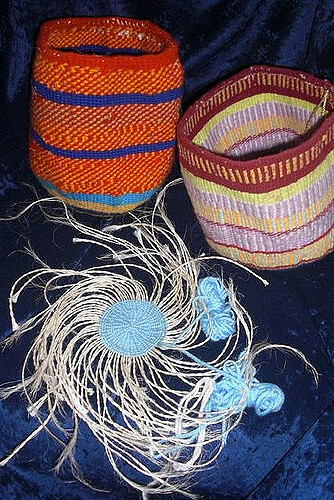 Our first library addition this month is an article on the symbolism of the kiondo or handwoven handbag of the Kikuyu and Kamba of Kenya, showing how everyday craftsmanship is intimately related to architecture and traditional cosmology. the kiondo basket is a complex document written in a certain language that can be decoded and understood. • The Tannisho is one of the most widely read works in Japanese Buddhism, known not only as a religious but literary classic. We present two unabridged translations of this foundational text of the Pure Land school. Although my words must seem repetitious, I have written them down anyway. For while life still clings to this old body like a dewdrop to a withered blade of grass, I will be able to listen to the questions of those around me and tell them what Shinran Shonin taught. In Buddhist scriptures, true and real teachings are generally intermixed with expedient and temporary ones. The Shonin intended that we should abandon the expedient and keep the real, set aside the temporary and follow the true. You must be very careful not to misread the sacred scriptures. They are not saints; they are not holy people, they are not recognized or known even to themselves. They simply are what they are and in their very being, they somehow sustain the world!